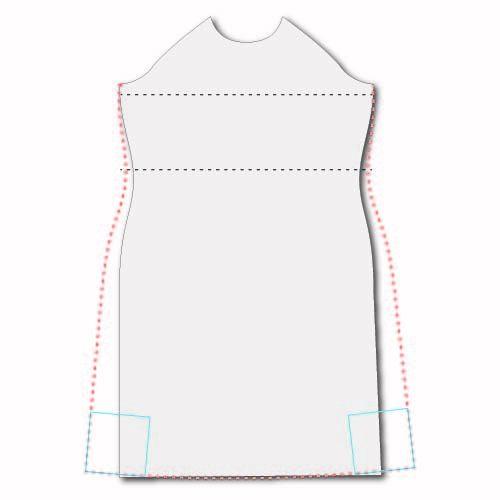 In my last post, I showed you how to lengthen, slash-and-spread a pattern to convert a T-shirt into an A-line dress. I usually draft my own patterns but I tried this technique on one of the patterns I recommended. 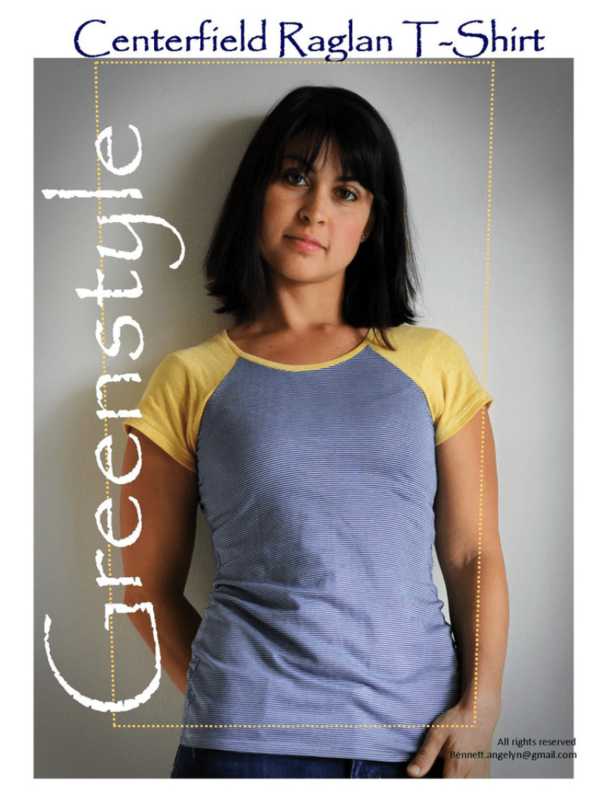 I chose the Centerfield Raglan T-shirt pattern by Green Style Creations. It was available by instant download and I thought the neck and sleeves looked about the right cut. As you can see, there is some waist shaping in this pattern and the waist and hips are both quite fitted. Here are the alterations I did for this particular pattern. This is roughly the shape of the front pattern piece. I wanted a snug fit around the bust but loose in the waist and hips. So I used the large size for the bust and then graded up to XL for the hips, while also extending the length. I continued the line of the new hip which added a little flare to the sides. 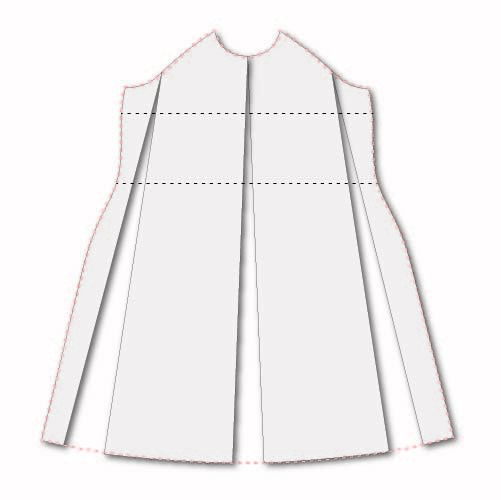 Make sure the side seams are square with the hem. This is how the new pattern piece looked. I then slashed-and-spread this apart as I described before. Retraced the new pattern shape. This is how my new front piece looked. I repeated the same steps for the back and made sure the side seams matched. I test fitted the tissue paper. It looked good so I went ahead and made up a stretch muslin test in some nasty polyester stretch. It fit nicely. I wondered if I needed a little more flare in the back to fit over my derriere but decided it was alright as it was. Next I’m going to make it up in a grey sweatshirt jersey with some patch pockets on the front. I’m making a short sleeve version as I intend to wear this over an undershirt and I want the opportunity to show some colour in my sleeves. In my next post, I promise to have a finished object photo, hopefully even on my body.